Want to teach English online but not sure of your employer options? 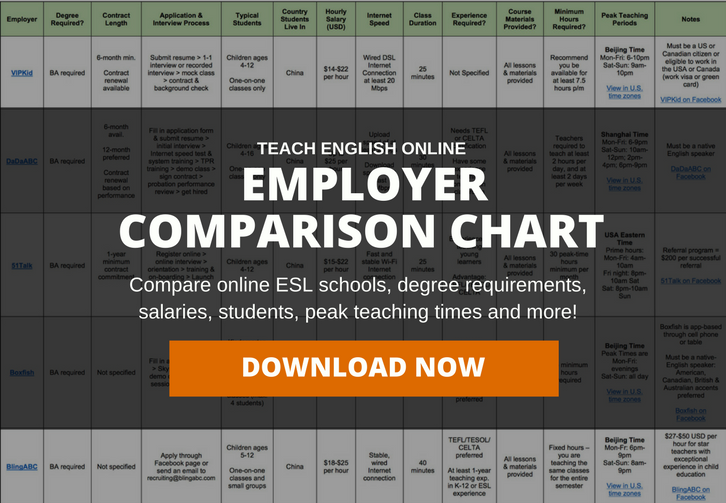 Our Employer Comparison Chart makes it easy for you to compare popular online ESL schools by breaking down things like educational requirements, rates of pay, contract lengths, minimum hours, and much, much more! We will make every effort to continue to update this chart regularly with additional online ESL schools and their teaching requirements. → Links to Online ESL Schools Facebook Pages + More! Please note, International TEFL Academy does not represent any of the online ESL schools listed here.  The information included in this chart is subject to change at any time. Please refer to a school directly for the most up-to-date information. Employers - Do you want to list your online ESL school on our chart? Fill out this form to be considered.